Photos by Anna Riwkin-Brick, story by Vera Forsberg. 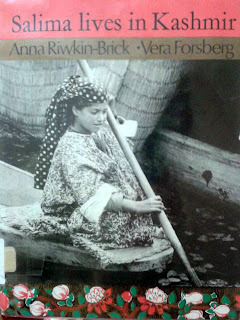 Anna Riwkin-Brick (1908, Russia -1970, Israel), Swedish photographer, spent a good part of her life traveling the world, and to place she went she captured the lives of children on camera. Later, these photographs were used to produce a series on day-to-day lives of 'Children of the world', with text captions from collaborating writers added to weave a story. In all there were 19 such book with titles like Dirk lives in Holland, Eli lives in Israel, Gennet lives in Ethiopia, Marko lives in Yugoslavia, Matti lives in Finland, Noy lives in Thailand, Randi lives in Norway, Gia lives on Kilimanjaro and Salima lives in Kashmir. Anna Riwkin-Brick captured children on camera like few could, perhaps because she started photography by first capturing dancers (her photograph of Third Reich dancer Alexander von Swaines in 1930s, although considered imperfect in its time for the 'motion blur', can now be called perfect). 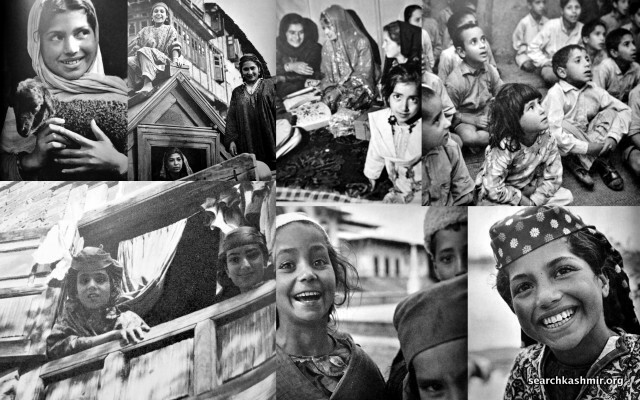 The beautiful photographs in 'Salima lives in Kashmir' in all probability come from Anna Riwkin-Brick's visit to Kashmir in 1969. 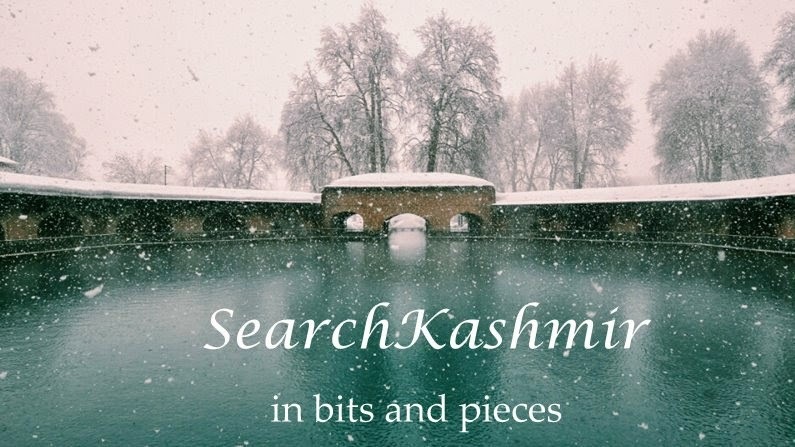 The story that the pictures tell has a nine year old Kashmiri boat girl named Salima and she struggle for joining a school, about how she convinces her grandfather to let her go to school. "Certainly there are few things more attractive than the friendliness and broad smiles of the Kashmiri children." Even V.S. Naipaul, the man who thinks 'World is What it is' confessed it once. 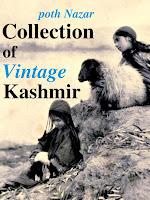 And this book offers something akin to that, broad smiles, Kashmiri children and a friendly camera. The effect casts a spell of heart-aching beauty upon the viewer. A spell that is broken only by the realisation that this beauty, this innocence is now gone. It is only an illusion in the mind and a shadow on the book. Or so it seems to a grown-up and the world of children remains the same. I wonder what has happened to Salima now ? Can't seem to find any latest updates on her ? I guess, I know I'm being too cliché, but she probably ended up being a housewife.